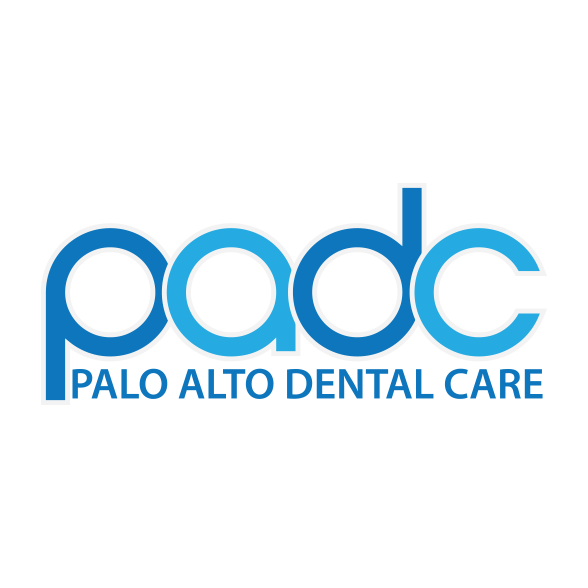 Palo Alto Family & Cosmetic Dentistry (Cosmetic Dentistry) is based out of Palo Alto, CA. Palo Alto Family & Cosmetic Dentistry values your feedback and has received 33 reviews with an average rating of 5.0 from patients. Click on the Post Review button to share your comments. Can't thank enough doctor Nasakin and her staff! Super professional, very attentive. My complicated case took more than two hours, but the result is amazing!Highly recommend this office! Honest, gentle, respectful, calming - the best dentist I've been to. All good, nice office, very polite team! Dr. Mikhail Nasakin is a great dentist. I've been there 4 times and had a good experience. I highly recommend to go to Dr. Nasakin. Had a great time at Palo Alto Dental today! Friendly and attentive staff. I've consistently had a great experience with Dr. Nasakin. Very friendly and knowledgeable. They charged substantially less for a dental guard than my previous dentist. Excellent quality of care rendered by very fine professionals! Galina has been my dentist for 4 years. She is skillful and earnestly cares for the well-being of her patients. I've recommended her to my closests friends. Dr. Nasakin has been our family dentist for 10 years now. Overall, we are very happy with her professionalism and attention to our personal needs. Her staff is always very nice and courteous. Dr. Galina Nasakin is excellent doctor!!! Me and my family do not have any problems any more!! !Excellent service! Friendly environment! Flexible payments! I go to this office almost 20 years, first to Galina Nasakin and last few years to Michael Nasakin. Both are very professional and do their best to help patients. From simple cleanings to root canals and implants, everything they did to me and my wife was excellent! Dr. Mikhail (I call him Dr. Michael) is the BEST awesome dentist one can ever find. He is VERY thorough and kind and highly skilled dentist. He listens well and cares about his patient's well being. I hope he stays within my insurance network forever so I can continue to have him take care of my dental needs. Most folks hate to go to dentist, but because of Dr. Michael, I look forward to each of my visit with him, as I know I am in the best dental's hands. I tell all my friends whenever they are looking for a dentist to be his patient.Thank you Dr. Michael! I am grateful. Dr. Nasakin's works are very thorough! I didn't take good care of my teeth when I grew up, so there are a lot of things to be fixed, including an extraction of horizontal wisdom tooth. Dr. Nasakin did a good job that it turns out my face didn't swell too much after the extraction and it's healing well. My family and I have been going to Dr. Michael Nasakin for about a year. We could not be in better hands. Dr. Michael is meticulous about his work - he is a perfectionist who takes the time it needs to get every detail right. I am a difficult patient (gag reflex, terrified of dentists) and he has been unflaggingly patient and positive. My sons are also happy with their experience. Dr. Michael flagged a jaw misalignment for my younger son. Something that would have created serious problems for him down the road had we left it unaddressed. He has also worked closely with my oral surgeon for several months. I am appreciative of the time he has taken to clearly explain all procedures. I have had only one experience with Dr. Galena and it was a positive one. The support team for both doctors is excellent.I have no hesitation in recommending this practice. Dr Michael been Dentist for our family for over 2 years. He is the very best dentist we ever encountered. Very professional, knowledgeable, great with kids. Really can`t express how thankful we are to Dr. Michael and his wonderful office staff! Really good. I have been working with Michael for one year now. He is very professional and nice.The first time I went there, Michael worked very hard to clean my teeth and very patient. After a few times of cleaning, my tooth got much better and I am regularly using flossing now. I also got my wisdom tooth extraction there. It was pretty fast and clean. It only took two hours or so. I advise our employees in Human Resources Benefits annually and decided to explore my Delta Dental last year and found Dr. Michael Nasakin through my providers list. I hadn't been to the dentist in almost two years so was a little worried on my condition but he did a thorough exam and explained all the issues in December and within a couple of months all my problem areas are now in recovery! He promised a painless and speedy process and indeed that's what i've received. I am grateful of the follow up phone calls and the personal reminders as well and how accommodating they've been to my busy work schedule. The staff is also very sweet and warm and friendly and i love the environment. I've been recommending them to all my colleagues and friends and family. Great practice and expertise! Thank you for bringing back the chance of me having an amazing smile and fabulous problem free gums and teeth again Dr. Michael Nasakin!! I love this Dental office. I was one of those people that dreaded the dentist, but Dr. Nasakin is so wonderful, I no longer have that fear. All of the staff is professional and kind. I highly recommend this office. Dr Nasakin is a wonderful doctor. She devised a realistic plan of care for me, and prioritized it so that we could take steps towards bettering the situation given a very limited budget. I do not insurance right now, but when I get it, calling Dr Nasakin's office to set up an appointment would be my very first step. This is my main dental office for many years - probably, 10 or more... going there regularly for all my dental needs. For a long time, my teeth were well taken care of by Dr. Galina Nasakin, to my general satisfaction. For the last year or so, my doctor is Mikhail Nasakin, and I have nothing but good words for him - this young but obviously well-educated and knowledgeable professional is a very thorough and attentive doctor.Despite the fact that trips to this office now take much longer for me, as I don't work near it anymore, I still stick to it and am happy to come back every time. Thank you! I am a new patient at Dr. Nasakin office, but already had a few pretty complicated procedures which went very well. I am happy I found a good dentist and looking forward to continue my treatment.Will definitely recommend Dr. Galina Nasakin to my friends. I had not been to the dentist in quite a while after relocating to California from Missouri for a job here. The office got me in and got the 5 fillings I needed in just two weeks from my initial checkup. WOW! In Missouri that would have been 5 fillings over 6 months. So I was very pleased with the speed and quality of her work. The office is modern, quiet and kinda secluded which is nice. Dr. Nasakin made me feel comfortable and like every procedure she did was minimal (even though I know some were not) and that makes you feel more comfortable. Thanks again for the good work. I have been a patient with Dr. Nasakin for 3 years. Dr. Nasakin is highly professional. She and her office team are friendly and provide excellent care about patients. The new office is modern and has high technology equipments.Dr. Nasakin really took care of me and made me feel very confident about my smile.I highly recommend Dr Nasakin. Dr. Nasakin and her staff always do a great job of making the best of any, even most difficult dental procedure. Any I keep coming to her for almost ten years now! She is an excellent experienced dentist and her team is always professional, friendly and warm. Dr. Nasakin is really a great dentist. I have been going to her office for almost 2 years. They used to be located on El Camino, but have since moved to a much nicer office on Park Blvd about 6 or 7 months ago. One of my first appointments with them was for a deep planar scaling which went extremely well. Even though I was nervous about the procedure, they were very reassuring.The staff is very friendly and do a great job of reminding you when you have appointments coming up, and they try their very best to work with your insurance company. I have an appointment coming up to take out my last two wisdom teeth which frankly terrifies me, so we'll see how that goes.All in all, I would highly recommend Dr. Nasakin. Best dentist I've ever had (and I've had over a dozen in all the places I've lived in the US). Nice office and great support staff. Great skill inside my mouth. Unfortunately, I had to spend a lot of time with her after a skiing accident eliminated three of my front teeth. She did great work repairing and restoring them - and worked hard to make sure I was really satisfied. Any other dentist would have stopped much earlier.Really good at managing all the insurance obligations and easing my logistical burden. I don't think I've ever filled out a claim form - and my out of pocket expenses have been very very reasonable. Flexible on the hours - and willing to accomodate my frantic schedule.She was also very helpful when I broke another tooth one day - and cleared room for me to come in for the emergency visit. Dr. Nasakin is awesome! She makes you feel completely comfortable and the office is really nice!! I feel special going there and they make me feel special everytime I walk in! So Shan is great too! She really tries to help you get the most from your insurance...not many people do that nowdays! I highly recommend Dr. Nasakin and her staff!